Unfortunately my camera battery had died earlier in the day (as I forgot to charge it the night before) and at this point of the day my phone was nearly dead as well. 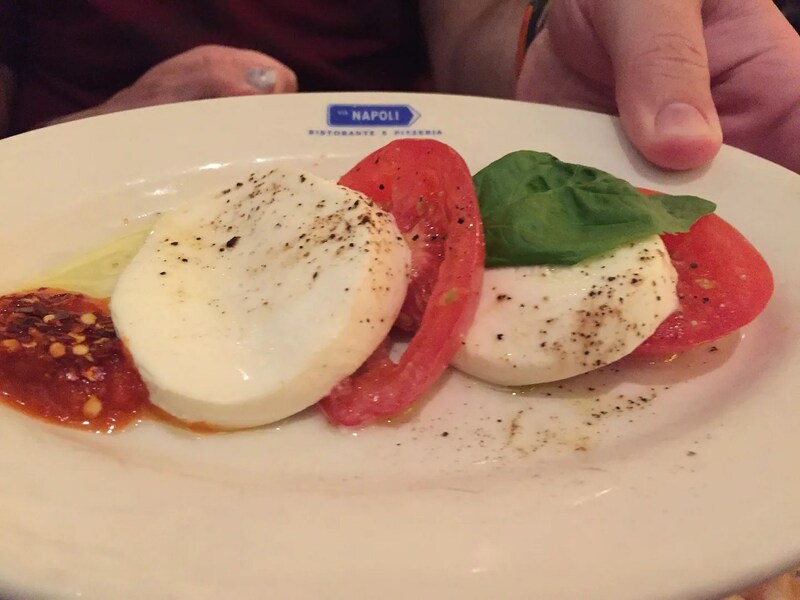 So my picture taking at Via Napoli was very, very minimal, therefore I didn’t take my usual photos of the menu. However, though no menu photos, I think between the photos taken by Paula and Hunter and the few I take, I have pictures of everything we consumed at this dinner. This is probably my favorite sangria ever! And normally, since I prefer white wine to red, I would go for the white wine sangria…but not at Via Napoli. 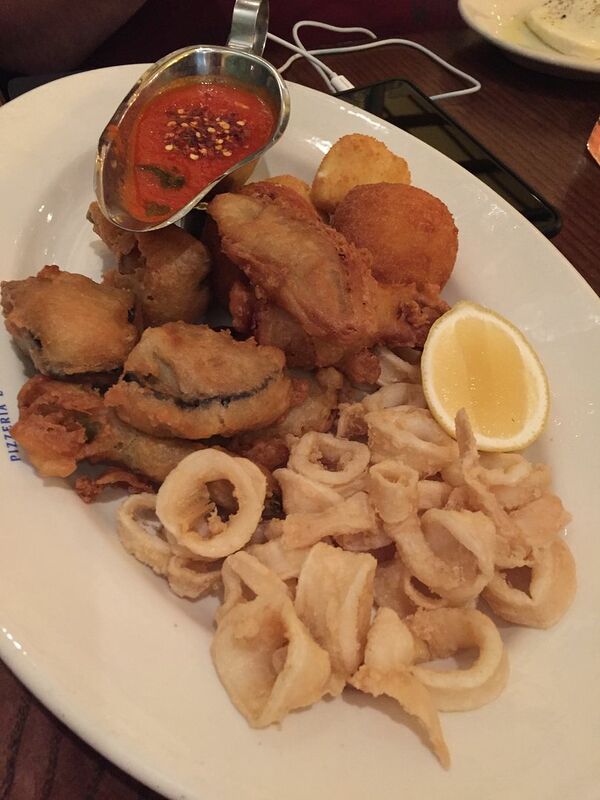 Everything on the platter was good, but our overall favorite was the calamari. Very tasty! This was awesome!! 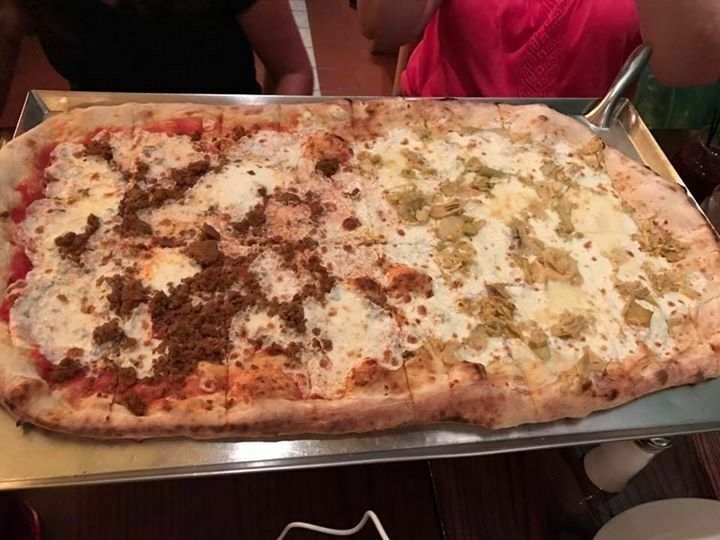 Despite a valiant effort by the four of us we unable to finish it though. But what we didn’t devour, Paula and Hunter boxed up and had it for breakfast the next day I think. 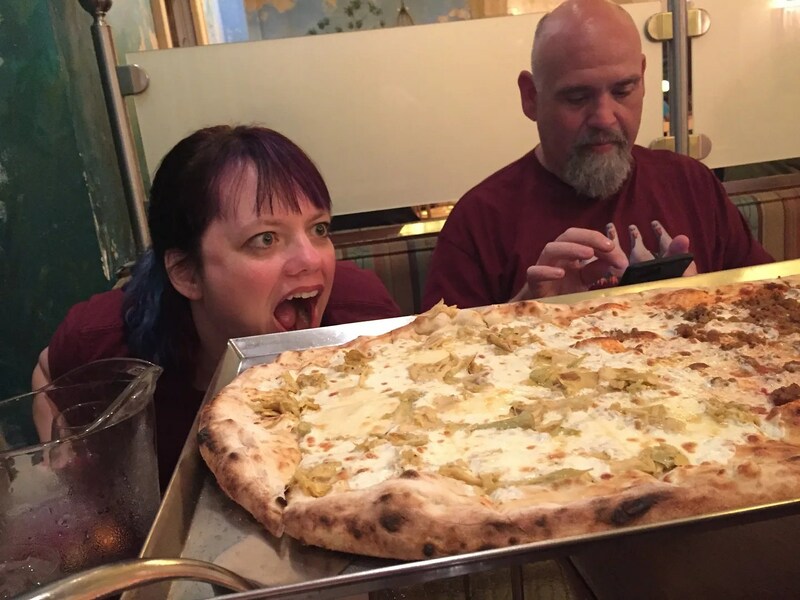 I need to add though that I had never had either the Piccante or the Carciofi pizza at Via Napoli. 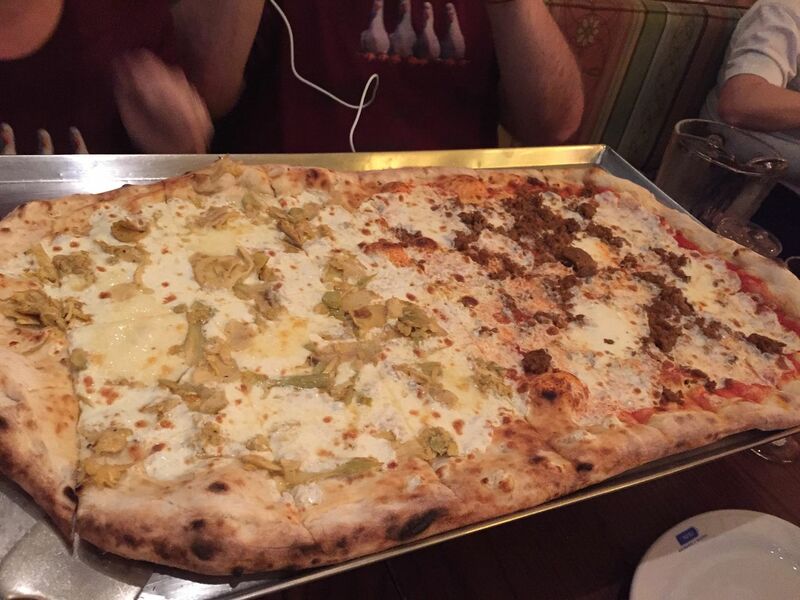 While both were very good, I thought the Carciofi was particularly delicious. Unfortunately these were a disappointment this time because the fritters were not warm. 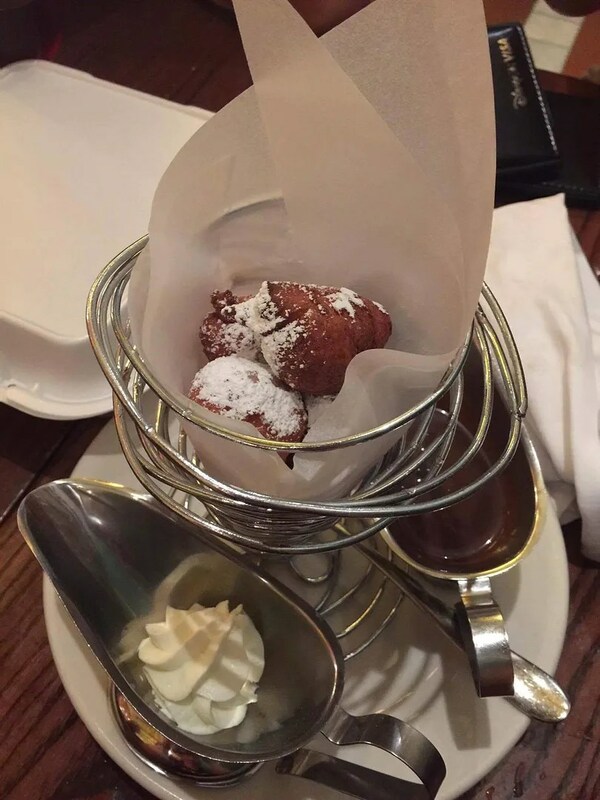 I’ve had the zeppole here 5 or 6 times before and the fritters always were served warm and tasted fresh and delicious. But this time they were not so great. While still okay, once dipped in the chocolate sauce, these were definitely not up to their usual standards. 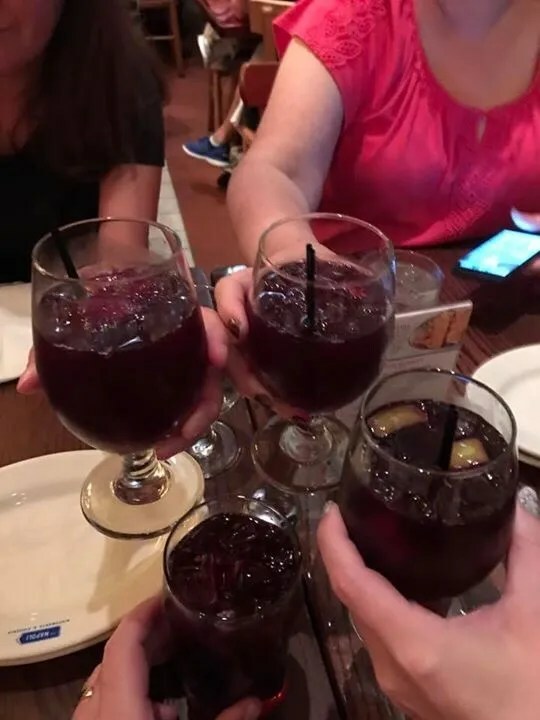 But even though the meal ended on a lower note, the delicious sangria, calamari and of course, the pizza, more than made up for the disappointing dessert.